Shuswap Climbing: Elison Park Rock Guide!!! "A Taste of Squamish in the Sunny Okanagan." Here is a guide for Elison Provincial Park Rock!!!! Allen Rollin has been busy compiling this guide as well as the Cougar Canyon bouldering guide. "This should help sort out some of the dirt and cobwebs up there." 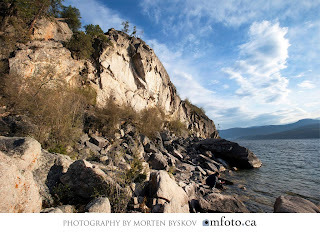 It includes the roped climbs and the bouldering in Elison Provincial Park in Vernon BC,.